On June 8, 2018 Miroslav Lajčák (Slovak Republic), President of the United Nations General Assembly circulated the zero-draft of the Political Declaration of the third high-level meeting of the General Assembly on the prevention and control of non-communicable diseases (NCDs). Italy (Ambassador Sebastiano Cardi) and Uruguay (Ambassador Elbio Rosselli) have served as the co-facilitators of this negotiation. The zero draft is the initial negotiating text framing the UN’s response to addressing the public health crisis of NCDs globally. Analogous to the high-level process for tuberculosis, this text will be the subject of intense negotiations with countries adding and deleting text over the next four weeks. The UN High-Level Meeting on NCDs will take place in New York on September 27, 2018. 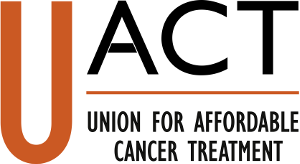 “UACT is appalled that the draft UN political declaration on non-communicable diseases makes no reference to the soaring prices for cancer medications – prices that are unsustainable even for wealthy countries, cause financial catastrophes for individuals and families, and lead to massive inequality in access around the world. UACT will be attending the civil society hearing to be held July 5, 2018 at the UN headquarters in New York. The clock is ticking. The informal negotiation on June 29, 2018, the interactive civil society hearings on July 5, 2018 and the formal negotiations scheduled in July 2018 (in New York) will hopefully provide opportunities to address the ever-increasing cost of cancer, cardiovascular disease, diabetes, mental health, and other NCD treatments in the UN response.